We’re very pleased to announce the completion of a new site for a new client. The new site has been built for 10 Gallon Events Ltd to promote the Once Upon a Time in the West Festival. They needed a fresh site that was both easy to use, eye catching and functional. 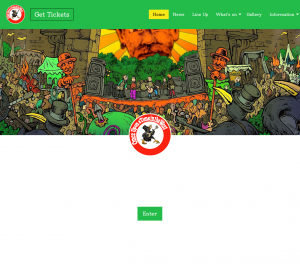 Responsive design was a must since the site will also be used during the festival for announcements, meaning lots of mobile users. This is just a quick update to get you excited about the upcoming release of SampleSort. A lot of people have requested the ability to make changes to the categories that files are placed into automatically when scanning. SampleSort attempts to get this right first time but will not always get this correct. So opening this up to users to make these changes will be hugely beneficial and increase the accuracy of searches. We have also been working on the ability to read and write meta data to various file formats. We will be including full read and write support for all the major tag formats such a IDv3, iXML, Cart, BEXT and a few lesser known tags as well. This will make SampleSort a much more useful tool for professionals dealing with audio coming from hardware field recorders and other software applications. The waveform preview pretty much speaks for itself. Being able to view the Waveform will be a welcome addition to the application. We are expecting to get this new version released before the end of November, hopefully much sooner! Well, we’d all like to thank the SampleSort users for pushing us over 6000 downloads as of a few days ago! This is a little proud moment in our lives! Thanks everyone. We’ve just made a new version of SampleSort available for download – v0.8.398. In this update we have built on the changes in the last update to improve the scanning processes even further. We’ve also laid the groundwork for allowing user configurable categories coming in a future version. We’ve also addressed various small bugs along with other small enhancements. We have also added a much asked for feature to allow multi-select in the various application data grids. You can now select multiple records and bulk add them to the export view. The major change in this release comprises a completely overhauled UI. We’ve redesigned everything in the UI to make better use of space and to provide an improve user experience. We’ve also made use of a completely new colour scheme to place more emphasis on the data you want to see. We hope you like the new UI, we’d love to hear any feedback. We’ve also done a lot of housekeeping around to reduce the download to just over 8.5mb. Another major change in this release is that we have decided to move away from using the built in Help system. We are going to publishing the help documentation on the jamsoft web site moving forward. Anyway, really hope you enjoy the new version and please drop us line. We have today made a new version of our sample organiser application SampleSort v0.8.350 available for download. We have been fixing bugs from recent issues people have been experiencing and have reached a point where we are ready to release! We have made a number of cosmetic improvements in some areas as well as working on the core code. We have increased the default font size for increased readability in the UI. In this update we have also addressed a number of memory and performance issues that have been reported. With the new version in our tests we have seen scanning times drastically reduced. When testing scanning an entire machine we have seen these times reduce from 30 minutes to under 7 minutes. Scanning individual directories have seen as many as 24,000 files scanned in under a minute. If you have configured SampleSort to check for updates automatically you can just start SampleSort and follow the instructions. Or you can download the update manually below. We have recently completed work on a new web site for the very well known Japan Tobacco International owned brand Hamlet Cigars. We worked alongside the excellent London based digital media and branding agency One Darnley Road. The new site was required to launch alongside other media channels to complete a re-branding exercise and contains brand information and all their historical television and radio advertising materials. Since the controls around marketing and advertising tobacco products is highly regulated in the UK the site has some unique requirements around controlling how users register, authenticate and perform age verification against the integrated ID3Global web services. We’ve now completed some testing on the new version of Windows 10 and we can confirm that SampleSort is working as expected on the new Microsoft OS.